Ever been stuck in traffic as you stared longingly at a nearly empty express lane with traffic flowing in the opposite direction? Ever seen a minor accident snarl traffic in Seattle for hundreds of commuters? When you have nothing to do but sit and stew in gridlock, it's easy to imagine that if you were a traffic engineer, you'd come up with a better solution for stuck commuters. In a post on the WSDOT blog, Public Information Officer Justin Fujioka explains the intricate process that goes into directing traffic around an accident scene in Seattle. The I-90 express lanes' directions are switched based on projected traffic levels; these projections are based on collected data about when traffic is most likely to be heavy going in and out of Seattle. But in some cases, an accident that blocks enough lanes of traffic at the right bottleneck can slow traffic to a crawl, or halt it entirely, on a route that's normally clear. 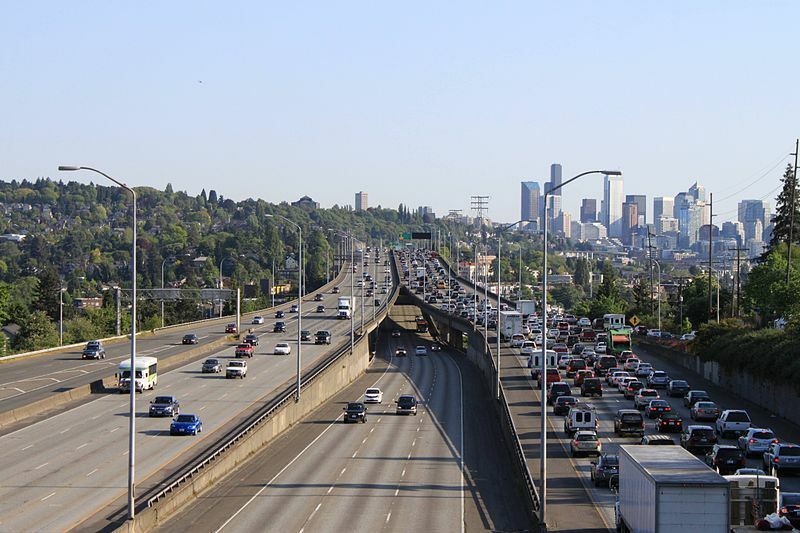 In circumstances like this, traffic engineers have the option of switching the direction of express lanes to ease congestion--but as Fujioka explains, it's not as easy as pushing a button at WSDOT headquarters. The first step is getting crews out to the express lane gates to close them. On their way out, they may end up getting stuck in the very same traffic, lengthening their response time. After the gates are closed, crews must check the express lanes to make sure there's no traffic still traveling on the route that's about to switch directions. They also need to check all the gates and signage. Even if switching the express lanes is possible, it may not be the best solution to directing traffic around an accident. In a system as large and complex as Seattle's transit network, other accidents or delays may be slowing traffic at other points in the system. In the case of a recent blockage caused by a jackknifed semi-truck in the westbound lanes Mount Baker Tunnel, WSDOT decided not to switch the I-90 express lanes. Their reasoning: crews have been delayed by the traffic backup, and switching the express lanes to allow more westbound traffic through would have snarled eastbound traffic. The switch might have helped some westbound commuters eventually, but at the expense of thousands of other commuters traveling eastbound. If you have been involved in a semi truck accident, contact Davis Law Group.